At first you see his cheerfull, lively and devoted nature. The Basset Artésien Normand is a real familydog, fond of children. He will do his utmost to please his owner. Submissive obedience can not be expected. He is a litle stubborn, because of his talent to seek for game independently. He is certainly never nervous. 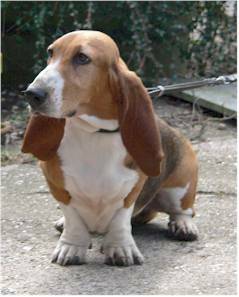 His soft character suits an owner who handles his Basset with patience, consequence and charm.